This post was originally created on July 14th, 2014. I’m re-posting here as I talked about it in my Animals and the Other Side class recently and many people have been asking for it. I’ve been thinking a lot today about how I should share this news with everyone. The reality is that I want to keep this experience private in some ways, but I feel like I’ve created a family of wonderful, supportive people and therefore I know it wouldn’t be fair to shut you all out. So, I share this news with you, with a heavy heart – but with an understanding that everything is exactly as it is supposed to be. Last night at 10pm, my baby Kelso passed. I know, based on the work that I do as an animal communicator and with soul contracts, that I should have myself completely together and be “just fine” with his passing, but we’re all struggling with this shift. I want to tell you all the story of his passing though, as it is quite remarkable what happened and how clearly he orchestrated the entire process. On Monday afternoon, Kelso began experiencing seizures. This was completely new for him and after many tests and talks we concluded that he would have surgery on Wednesday to remove two bleeding tumors attached to his spleen. Wednesday morning, Kelso awoke, but did not want to get out of bed. He was wobbly, clearly dizzy and he was also sedated because of the anti-seizure medication. At one point, Kelso hobbled into the bathroom and laid on the mat to be near my husband Kevin while he showered. Later in the morning I intuitively check in with Kelso and I remember noticing that his energy was not fully in his body. Now, as those of you who have taken my animal communication classes know I have said, it’s very difficult to be psychic with your own animals – especially in times of turmoil. So, I didn’t think very much about that information. I felt, perhaps I had it wrong or maybe I was exaggerating in my head because I was so worried about him. But as I would find out throughout the day and into the night, that wasn’t the case. Worried that he might just be saying goodbye, Kevin and I both took time in the morning to kiss him and hug him and thank him for being in our lives. I think we both thought we were being overly cautious. Kelso went into surgery in the afternoon. Our vet told us the surgery to remove the two tumors went as well as it possibly could have and everything was looking good. Upon hearing this, Kevin and I were overjoyed and couldn’t wait to go and say hi to him as we transferred him from the vet hospital to the overnight care hospital. As we drove from one place to the next with Kelso, still sedated from the surgery in the back of the car, I told myself not to worry. I started planning out in my head how I would do my private sessions with people from the living room in my house rather than from my office so I could be near Kelso as he healed. I made quite a few plans in my head and I see now that I was overly chatty about things as my husband quietly drove us to the overnight hospital. When we arrived at the building, two vet techs ran out to greet us and lovingly put Kelso on a stretcher and carried him into the facility. My expectation was that the drop off would take five minutes at the most, which was good because it was 8:30 at night and I hadn’t eaten dinner yet! As five minutes turned to twenty minutes, I found myself spacing out. I connected in with Kelso to see how he was feeling – and once again I noticed his energy was not as present in his body as it usually is. In fact, I remember thinking to myself, “that’s so weird! Kelso’s energy is 50% out of his body. That’s just what Bella’s energy looked like the day she passed.” But as soon as I had that thought, I went back to talking with Kevin, looking up restaurants on my phone and laughing at the resident cat, Norman, who was playing with a toy at my feet. Again, because I was somewhat worried, I wasn’t worried about what I was receiving intuitively from Kelso – I assumed I was just reading it wrong. Just a couple minutes later, the vet was finally free to talk with us. We both liked her immediately because she looked us in the eye when talking to us and she clearly WANTED to hear about Kelso as we filled her in on his little quirks (he doesn’t like Tramadol, he gets extra loopy when sedated, he’s not hearing well so you have to talk in a high voice…). She wrote all of this down and then moved on to her next item. Kelso’s red blood cell count had dropped since the surgery and this wasn’t normal. This count should, instead, be going up now that the tumors were removed and the bleeding had supposedly stopped. Hearing this gave me pause. Hmm…. Kelso wasn’t present this morning. Could he be showing us he wants to pass over? Before we left the overnight vet, we filled out paperwork. I had to checkmark either DO NOT RESUSCITATE or PERFORM CPR . Immediately, I chose the CPR option, but even as we said our goodbye “see you in the morning Kelso-s”, that checkmark laid heavy in my head. I couldn’t let go of it in my brain – and something energetically was pushing me to look at it too. I finally told Kevin that I wasn’t sure we should have checked that box. He said he had been feeling the same thing and we decided to grab our food at the restaurant and talk about it again as soon as we got home. At 9:30, we had just sat down in front of the TV, our food all spread out in front of us and the phone rang. Kevin answered it and, of course, made me feel angry because now I couldn’t hear what the person on the other end of the phone was saying. It was the vet letting us know that Kelso’s red blood cell count had dropped much, much lower and he was going to need a transfusion. She also said that for some reason right now canine blood is in short supply so it would take an hour to get that blood to the office and that Kelso’s body was shutting down so they were going to have to take drastic action. Thankfully, Kevin said he wanted to talk with me about this and we told him we would call back in just a minute. The half hour drive to the vet’s office only took about 20 minutes at the rate we were driving. I again found myself chatty, thinking of every possible thing to say, but none of it really meaning much. Kevin, on the other hand, chose to be quiet, crying as he drove. When I finally caught my breath, i again intuitively checked in on Kelso. In my head I saw the room he was in when we left him, but he had been moved out of the cage and he was laying flat on the floor. I saw people moving about around him – and then I noticed one significant thing. His energy was barely attached to his body. In fact, his energy was up by the ceiling looking down on the whole scene of activity. I told Kevin, “I think he has passed – or he’s just about to pass. His energy is looking down on him” and then I felt upset. One of the biggest things I’ve learned as an Animal Communicator – and especially through my work with soul contracts is that animals CHOOSE their passing. They decide the timing, how it happens, where it happens and more. They are, at the soul level, in total control of the entire situation – and very often, their passing is done is such a way as to allow the attached humans to learn some type of lesson. I began wailing (yes, wailing) to Kevin as we continued the trek up to the hospital, “But WHY? Why would Kelso choose to pass without us there? I can’t figure out what we could possibly learn from this?” It didn’t make sense! Kelso taught me about believing in myself – about seeing myself as the good, positive, helpful person I am – and embracing that. In fact, it was through Kelso that I learned the most about Soul Contracts, my business, animal communication, my relationship… I couldn’t see why he would choose to pass without us there. Additionally, I was worried that calling off the resuscitation meant that the vet would be forced to stand around and watch while Kelso suffered and died. If there is one thing I have a very hard time with, it’s watching any animal (especially my own!) suffer or endure hardship in any way. Mixed in with my “Why would he pass without us! ?” was hope that he had passed and wasn’t in any pain as we broke every speed limit possible to get there. What I walked in to was completely different though. And it is THIS MOMENT that makes me cry. Kelso was on the floor in the area exactly as I had seen him in my head on the drive up – but he was surrounded by five women, all touching him, loving him and helping him. Kelso wasn’t alone! He wasn’t suffering. He wasn’t in pain! In fact, the next thing I noticed was that his energy was right where I saw it – at the ceiling right above his body. As the helpers moved out of the way for us, my voice took over. “Hi – we’ve already said our goodbyes. We don’t want him to suffer. We want to help him cross right now.” Kevin and I bent down over him and touched him and rubbed him. His heart beat was so faint… he was just barely alive, but he was alive. He had waited for us so that we could help him. And this is what I wanted. I know that most people don’t get this type of opportunity – and I’m so grateful he gave it to us. Within two minutes, the vet assisted him in crossing and he took his last breath. The thin strand that had been connecting his energy above to his body with us gently just dissolved. And it was over. I learned from Kelso every single day of my life with him. He was my teacher, my friend and my companion. And the funny thing is he was teaching me up until the exact moment he passed. He (once again) showed me that I CAN trust my intuition, even in the more dire of circumstances. And for that last lesson – as well as all of the others and for the biggest of all – coming to believe in my greatness, I will be forever thankful. And I KNOW I’ll be learning from Kelso on the Other Side as well! PS: Please forgive any spelling errors or grammatical mistakes. This was a challenge to write! Just thought I would share some news with you guys about my dog Kelso (who passed Wednesday July 14th, 2014). He’s been very active around the house – he’s shown up in the hallway, on his chair in my office and he visited me last night. My husband even “felt” him in the car yesterday while driving to work (and he’s a scientist!). So many people have given us such love and support around his passing, I thought you all would be excited to hear of this. Thank you to everyone for your love and support! This is do heartbreaking and so wonderful at the same time. Well written and beautiful. Thank you for sharing and I’m so so sorry for your loss. My deepest condolenses. I know your pain, I’ve been there. Mom and I were there when the family dog passed away. We believe that she waited until we were both there, so that we could be with her when she took her last breath. I even attempted to do chest compression (CPR) since I had just taken a pet first-aid class not that long ago (prior to her passing). I had just purchased the Animal Soul Contracts: How Your Pets Help You Make Soul-Level Changes, and Beginner Animal Communication, when I saw the most recent post, My Baby Has Crossed to the Other Side. I read it with curiousity. I thankfully did not sense that our dog was going to pass that day. I knew that the day would come some day, and that I wanted to be there for her when the time came. I remember shortly after she passed that I could sense her right next to me as my parents and I ate dinner in the living room. That feeling was soo strong, I felt like I could see her. As if I could touch her, yet all that I would feel would be air. I’ve seen the movie Ghost with Whoopi Goldberg, so I had some idea of life after death. I know from experience that the first days are the hardest, as they slowly turn into weeks. And the weeks slowly turn into months. And the months slowly turn into the first year. I find that everyone grieves differently, and those around us need to respect that. Some don’t want to talk about it, and prefer to get rid of everything as soon as possible. Then there are those who prefer to hold onto every little thing that reminds them of their fur baby. Mom and I found out and attended a pet bereavement support group. It was very helpful for us to be surrounded by those that understood our pain, especially since my dad didn’t show any emotions. http://www.pawtoheart.org is the website. I know that you can contact the person who runs the group via e-mail, not sure if the phone number is still good. Rosemary! Thank you for sharing your experience – and I’m just so glad you found a group of people who understood. Community is so important. I knew that I had built that here – and that is why I shared. Thank you again. It’s LOVE that drives us to feels so strongly….and LOVE NEVER DIES! Bless Kelso’s Soul and BLESS YOUR HEART for being there for so many in their moments of “Farewell for now!” May we facilitate your shoring you and your husband at this time! Thank you for sharing this so beautifully. My condolenses to you both. Thank you for taking the time so soon to share this with us all gifting us the opportunity to learn as well. I am sending you and your beautiful family infinite love, peace and comfort. My sympathies to you. This made me cry of course, both for you and for myself as I still mourn after 5 years, the passing of my little Rudy. Because I chose to let him go rather than watch him die a slow death, I’ve always felt guilty .I feel that he hasn’t forgiven me cause I never dream about him, yet my other two schnauzers visit me often in dreams. Tho painful, it is important for you to share this unhappy experience with us . You cannot keep the pain bottled up. What beautiful angels our doggies are. As I too have recently lost my little girl Weimarana. ty for sharing….. lots of love to you both. So sorry to hear about your great loss. Thank you for sharing, I’m sure it must have been a difficult piece to write. Thank you. Maybe one day I’ll go back and edit it – or at least re-read it. For now, it stands as this, un-edited. Thank you. Thank you so much for writing this Danielle, it was a blessing for me to read, especially the part about animals choosing their passing. I took my greyhound to the vet last Friday because he’s been limping, and we were shocked to discover that he has bone cancer. We made the decision to say good bye this Thursday because we don’t want him to go through the severe pain that occurs as the disease progresses. I’ve been hoping that I made the right decision with my dog, and after reading your post, I feel better about it. The decision “feels” right intuitively, even though I don’t want to let him go. KB – I’m glad Kelso was able to help you. We know they cross over and stay with us – but it doesn’t lessen the pain that our sweet fur baby won’t rest a chin on our leg or wag a tail for us in greeting. The physical loss is devastating and heartbreaking. They teach us so much, if we just pay attention. I miss my sweet Kenzie every day, yet I know she is around and talking with Kayley and Farley. I asked Kenzie to welcome Kelso. Thank you for sharing your loss with us. My heart breaks for you and your family in this loss. Sending you all love, light and big hugs. My heart goes out to you and your husband. It is truly amazing how these wonderful souls choose to be of great service to us. My husband and I are also animal lovers and had the honor of having a beautiful dog BB for six months. However, it was not until after his passing and of course me crying for days when I had a vision of his energy running full speed ahead and happy. It was also during that vision I finally learned what his purpose was in his short life with us. He taught me to believe in myself and to not give up no matter what life throws at us. You see, he had been a rescue dog and I kept telling him I loved him even if no one else wanted him and that I believed in him. I still miss him but am so grateful for the lesson he shared from soul to soul. Much love Danielle! I love to read that you got the lesson! My deepest sympathies to you and your family. My heart and thoughts go out to you! Also, I want to say “Thank-You” for posting your personal story, as hard as I’m sure that was. I have not received any of your services, however, I have this week listened to some of your interviews on youtube and have read your webpage. My Darby girl ( 18 year old kittie – aka. my fur baby ) was laid to rest a week ago. That was the toughest, heart wrenching decision I have been faced with. After her passing, I was having a hard time with my grieving emotions, so I went on line in search of tips and ways to help with my sadness and to find some sort of answers and reason to the intuitive feelings I was also experiencing before her passing and wanted to know what happens to our fur babies when they go to their afterlife. After watching your interviews, they helped me in so many ways and brought me better understanding, comfort and calmness to my sadness and questions. I greatly appreciated it! Then when I read on Facebook what you and your family went through with Kelso, my heart felt for you so much, but your vulnerability to share with us your very personal story – it also helped me to not feel so alone in the journey of losing our loved ones and the emotions that we feel during such a difficult time. Kristy – I’m glad you’re not feeling so alone. Reading all of these comments is helping me as well. Love and light to you. Blessed morning to you and your family. Thank you for sharing the love and the lesson with us during a very painful time. Light, love and energy to all of you. I am sending very deep, heartfelt condolences. Animals are the most amazing and magical creatures. We allow our hearts to open full and wide to them and they have so many things to love without attachment. I had to put down my four legged baby Gossamer, two years ago and I havent taken on a new puppy yet. They are truly magnificent creatures and again, my heart is sending you and Kevin warm, soothing prayers and big hugs!!! So very sorry for you and your family’s loss. Relieved that you got to be with Kelso during his last breaths. In the ’90s I was privileged to be with two of my geriatric cats as they crossed over. It is life transforming. Bless you and your husband. Such a sad, hard story to read. I can only imagine how hard it was to experience and write. Thank you for sharing Kelso’s last lesson with us and I will pray for comfort for you and your husband as you adjust to what has happened. I’m so sorry to hear about your loss of Kelso, and so soon after Bella’s passing. I do have a smile inside though as I’m imagining that they’re happily playing together and ‘discussing’ how they’ll continue to be present in your lives! How fortunate they were to have such a wonderful family to love and care for them! Thank you Pam! I’ve had that feeling as well! Hi Danielle, First I want to say how sorry I am, I know that even though Kelso is still with you, just in a different way, its so hard not to have him there physically. My sweet black lab Chance passed last November and it tore my heart out. You had helped me so much when my blue heeler Jack passed, you helped me to realize that our loved ones don’t die, they just change. That knowledge helped me when my Chancey passed, thank you for that gift….Kelso was a lucky dog to have you and your family to love, and I’m so grateful to him for helping you to help others. Thank you Danielle for all that you do…. I am crying as I read your email … I am soooooooooooo sorry for your loss and what you and Kevin are feeling. It is heartbreaking! I only know, because we went through it a number of times. Our pets give us nothing but unconditional love and that’s what makes our connection with them so strong. Kelso is, and always will be, at your side giving you his love and guidance! Thank you so much for writing this! On May 21st, I lost mt 14 year old beloved Rottie mix, Buffy. This dog saw me through the hardest times of my life (my mother’s death only 3 months after I adopted Buffy, divorce and my only child growing up and moving hundreds of miles away). She died about a year after my boyfriend moved in. At first she hated him but over time she grew to like him. However, when she passed, I wondered if she left because she no longer felt useful or needed. After your article, I can see that she left because her job was done. I was no longer alone and she felt that I would be okay without her. I completely believe that she chose her time to go. She got better for a few weeks during my 3 week vacation. We spent every day together. Then, she took a turn for the worse just as I went back to work. She died on my daughter’s birthday. I take that as a sign. Thank you for helping me find closure. I know she is waiting for me on the other side. Kelso helped you as you help others., grateful to have been a recipient of that in the past with my Heidi girl. are very sorry for such a great loss. Your love story about your beautiful dog Kelso’s passing made me cry. Thank you for sharing this heartwrenching story. Thank you so much for sharing your experience with Kelso Danielle. It never ceases to amaze me how synchronistic events are. I just opened your email after spending the last two hours having an emotional and intense discussion with my teenage son about soul contracts, including the contracts with our pets, choosing when to pass on and about the lessons we have to learn with them. I told him about your experienc and he is just about to read it. Thank you! My heart is with you and your husband as you miss Kelso. Thank you to you AND your son for being open! I’m so sorry for your pain – all of us who really love our furry babies feel it every time one of them has to pass the veil. We are humans and not robots and a greater understanding like the one you have for being able to directly communicate with animals doesn’t prevent a person from feeling sadness and pain for losing our beloved friends, children and companions. Thank you for sharing ! I am sorry for your loss, but you also gained in it too as Kelso made sure of that. Thank you so much for sharing this tender moment with all of us. I am so very sorry for your loss. It’s so interesting when are pets are so close to our souls, how we go into a kind of denial even though we know exactly what is happening. I experienced that two times in the last. Four years with both of our Bernese Mt dogs. With Nakai especially who was so attached to my heart and soul. It was like I had a thought and didn’t even have to say it and he got it already. Complete magic. When I knew over several months something had changed within him I had a sense he was processing his death, and after doing the needed work with him I was right. It was if he saw this veil and wasn’t sure if he should go through it. As Insaid that was for many months. But what it did for me through the tears often was he was allowing me to get ready. I’m so sorry for you both, I know that pain. My baby Pita died in my arms after struggling with bone cancer and he was hanging on, I think for us. We both told him that day to please not stay for us and within a few hours, he was gone. I grieved for a year and still dream about him even after 8 years. I pray for a smooth process for you and hope that you will get to see him often to soothe your heart. Thank you for sharing this very sacred experience of your beloved Kelso and his fulfillment of his soul contract with you and your husband…..Love of this depth is such a great and wonderful and yes, painful experience, for certain. I hope that with some time, (I’m thinking you are already there) you will smile inside your pain at the joyful, playful, silly, and above all, loving times you shared together. I am so sincerely sorry that your heart is hurting. I am so sorry for your loss. Even though when my precious babies have transitioned my heart is still broken when they leave. Bella, my Australian Shepard has a tumor on her spleen. She is 12 and this past winter her hip dysphasia became worse. Our decision is to enjoy her while we can. She is playful and happy. Thank you for sharing. Godspeed Kelso! Hi Claire – both Bella and Kelso had the same challenge (the tumor on the spleen) and we made that same decision about them. We wanted to enjoy our lives together while we could. I understand what you’re going through completely. My sincere condolences to you and your husband and any other animal companions at your home that are might be missing Kelso right now too. And thank you for taking the time to share at this time. about the after life it doesn’t change the grief, sadness and that deep ‘I just miss you!’ kind of feeling that happens when they leave the physical. Those of us who were lucky enough to have shared in that blessed moment of crossing over with our animals are very fortunate. For me… and I’m wondering if you might feel the same, that it is such a gift to have been able to be there “fully present” by their side, while loving them with everything you have at that moment, in the exact same way that they were “fully present” and loving you right there by your side throughout your entire lifetime together. Thank You Kelso for choosing Danielle and Kevin and for expanding this world with LOVE energy with all you taught. We say thank you to Kelso too! I am so sorry my heart breaks for you. Sending loving healing light to you & your loved ones. May the beautiful soul of your beloved companion find eternal peace on the divine journey of the other side. Thank you for sharing this heartwarming story with me. I had the honor of meeting Kelso and having him present at our sessions. It always made me smile when he fit his big body on a small square pillow. Thank you for sharing your thoughts and experiences with us. Reading your thoughtful and insightful and gentle words took me back 11 months when my own beautiful doggie Sophie passed. I am comforted by your work on soul contracts but at the same time I am returned to the raw grief I felt at the time of her passing. My deepest and most profound condolences to you and your husband for the loss of your beautiful, loving furbaby. Soft and gentle hugs. Mostly I want to thank you for being vulnerable and sharing that story. Sometimes it’s most powerful for me to hear that even someone like you, a psychic and an animal communicator, struggles with the same doubts and insecurities that any of would in that situation. So again, thank you so much for sharing your heart with us. I’m so sorry for your loss. May you and your family find comfort in the memories of your sweet boy. Thank you for being so thoughtful and caring in sharing your sad but beautiful letter with us. My thoughts and prayers are with you and your husband and all who loved your sweet Kelso. As I was reading my tears just rolled down my face. My dogs noticed and came over with so much love. I am so sorry for your lose. I know how you feel. Thank you for writing this. I gave all my dogs hugs and a treat! And give your dogs a big hug from me (and Kelso)! Danielle, thank you for sharing your experience with Kelso’s passing. I was reminded of the occasions when I, too, accompanied my animal companions on their journey to the other side. I am sending you and Kevin loving energy during this difficult time. Kelso was so blessed to have you and you to have him. He loved you and Kevin more than his heart could hold and he thanks you for giving him a beautiful life. Take great care of yourself, Danielle. Prayers are being sent to Kelso, you, and Kevin. Thank you for sharing your furbaby Kelso’s story, how lucky he was to have you and your husband in his life. He is happy and healthy again and at peace waiting for you on the other side. Healing will take time but cherish all the special times you shared. Angel Blessings to you and your husband. Thank you so much for sharing the account of Kelso’s passing with us – I hope sharing your loss with us will go some way to help you live through your grief as it gives all of us the opportunity to surround you with love and prayers. I am sure Kelso will continue to be your teacher from the other side and will manifest himself to you in many varied ways. Hi Sue – I’ve received more than 1000 comments here, in my email and on FB about Kelso. He’s definitely teaching many, even from the other side! Dear Danielle……..I am so sorry to hear about your precious Kelso. I know how hard this will be on you, Kevin, and your family. Tears are running down my face right now as I write this. Thank you for thinking of all us as your family…. because we are. I am still having a hard time with the loss of my fur baby Brutus a little more than a year ago. I still hear him crying and barking and it wakes me up. I bet Bella and Kelso are telling all the other animals in heaven who their mommy is. I can see all of them sitting at attention with their heads to one side thinking…..WOW! So very sorry. Isn’t it cool Pat that you still hear him barking? What a wonderful sign!! My heart goes out to you and your family. Thank you for sharing your love with Kelso. I know you feel truly blessed to have shared your life with Kelso, but I know he feels equally blessed. This beautiful story has meant more to me than you could know. Thank you. Love and Peace to you. Wish I could do a LIKE here… Thank you Safena! Dear Danielle, thanks for sharing your private life with us. My thoughts and prayers are with you and Kevin. Thank you for sharing that beautiful, yet heart wrenching story with us. Sending heart felt condolences to you and your family for it’s loss. Thanks to all Kelso taught you so that you could pass it on to us. Blessings. Heartfelt sympathy to you and your husband Kevin, and all who loved Kelso. 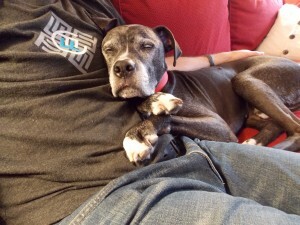 Thank you for writing this to share Kelso’s deeply loving and generous lesson of holding both deep connection and then surrender at the time of his (and our eventual) physical passing. God bless him, and may he continue to be an angel for you and your work. How blessed Kelso was to be a part of your family. It is. Lear he was appreciated and deeply loved!!! A beautiful story of love!!!! Healing for you and your husband! I’m so sorry to hear of your loss. I cried as I read your account. It reminded me of losing my own fur-babies when their contracts were fulfilled. Thank you for sharing and for reaching humans through your communications. So many humans still don’t “get it.” I think most of your readers do, though. Sending you healing vibes at this time. But Lily, more and more and more people are getting it every day! In fact, it’s becoming more like “pockets” or specific areas that aren’t getting it. We are becoming more like the norm! Ah, Danielle, (((HUGS))) to you. Being able to communicate with our beloved furbabies and knowing they will always be with us may bring comfort, but I believe we still grieve the loss of their physical presence. Many thanks for sharing this very personal experience. Thank you for sharing the loss over the years and my cat Freida was one of the hardest – I sang to her, a song I’d written and always sang to her, as she passed. It took me 2 yrs to scatter her ashes in her garden, and again I sang her song. Within a few short months, she brought me a new love, Posey, who is everything I’ve wanted in a kitty. I feel she sent her for me. My heart is with you and your family. Thank you for sharing. Much love. Hi Debbie – thank you. And thank you for sharing your story too. I think it’s helping many, many people to read not just my story, but also all the other stories here too! Also, if you would like to book a session, just contact my office. I’m so sorry for your loss, especially so soon after losing Bella. I know you know that no matter how prepared or intuitive a person is, losing a dog still feels physically & emotionally painful (think knife thru the heart), so thank you for having the strength to share this with us. (I’m still crying).Kelso & Bella truly are teaching dogs because they’ve chosen to spend their lives with you, & you are passing on your experiences with them, to us. The pain was so great when I lost my two dogs, that I was determined never to go through that again. Well, two years ago my sister brought home Honey(a wheaton terrier), and I’m completely attached to her. After learning from you about dogs’ souls & that their spirits are around us after crossing, I feel better able to cope with any future loss, and happy knowing my crossed over dogs are still around. So I look to you, Kelso & Bella, to continue the teaching journey by sharing with us their lives on the other side, and your continued connection with them, if & when you are ready & able to do so. In the meantime, I’m sending healing thoughts to you and your family while you process your painful loss. Maybe Bella is helping Kelso with his transition? Take good care of yourself Danielle, & cut yourself some slack while u grieve & recover. Love from Honey & Julie. Sending love to you Julie! I was in tears the entire time reading your story. I am so glad you were able to be with Kelso when he passed. A couple of weeks ago I lost my favorite alpha cat, and you are right. They do let you know when it is time. He showed me for 24 hours that he was getting ready to leave. I just had to make the decision to help him. I am hoping you hear from him soon, and that you let all of us know when that happens. Hang in there until then! You write wonderfully! That is a sad story, but a beautiful story… for your next book. I am so so very touched by your story. I felt Kelso’s love throughout it and I very much connected with the loss of my first dog, Tara, who passed In 2007 and what she taught me and gave to me every moment of my life. You are so blessed to have developed your gift of communicating and saw Kelso’s transition. That pup is free and happy and running as we all should be here and now. I got very sick with Tara died and have had any physical challenges which have increased over the years. I love animals too much I think sometimes. They live the way we ought to be living. Open heart, non conditional live, live in every moment, grateful, happy and so very appreciative and loving. Bless your family and thank you for sharing one of the sweetest stories I have ever read. Kande – don’t you love how your animals (and all animals actually) are STILL teaching you! Dear Danielle, My heart goes out to you and Kevin. I’ve never taken a class, but recently went through somewhat this type of experience in a different way with my beloved cat, Roffie. It is heart breaking but at the same time heartwarming. I’ve become even closer to him since he died, and had the nerve to ask my other cat, Heidi, if he had said anythig to her and she said “yes, he wants me to be sure and get you up every morning like he had been doing, and that he loves me very much. Both of us do.” She began licking my face each morning like Roffie had been doing! My heart goes out to you and Kevin, as I recently went through a similar situation with my beloved cat, Roffie. It is so difficult to let go, I know. It is both heartbreaking yet heartwarming to still feel their love and connection. Bless you for the wonderful work you do! Thank you for the courage to share such a deeply raw loving story about your dear friend’s passing. I truly appreciated this, and was reminded of two situations with our pets. My cat Draydel was dying from kidney failure. The family wanted to just “end it” but something told me not to. I did take him home and was telling my friend about it, who also urged me to just have him put to sleep. Draydel was staring at me at that moment, and I “heard” a voice, “*I* will decide when I go, and I will go while home.” I dropped the phone and stared. He lived for about two weeks longer, and faithfully climbed to my son’s bunk to be with him (my son had night terrors and the night I cried and prayed to God to send a protector, Draydel immediately left my bed, and slept with Andy from that night forward) until he died. He had been going to greet my son at the door as always, to help him feel safe, and Andy found him just short of the door. Yet, like you, I kept “dismissing” the voice and messages about our beloved Aussie, Belle, the days before her death. I knew to my core, and kept saying I was just being worried. The night before she left, I felt a nudge to “say goodbye one last time”. I did kiss her, and hug her, but again pushed it all away. We found her at my side of the bed when we got home from work and she hadn’t come to greet us. I felt so guilty and angry with myself for not having spent more time the night before. I don’t see energy right now as you do, I feel. My heart goes out to you and I so appreciate your kindness in sharing. Much love to you. Having met Kelso and Bella, I know how special they were to you and I am so sorry to have read about Kelso’s passing. My thoughts are with you all right now, understanding how heartbreaking the loss of a beloved pet is. So sorry to hear of your loss; that was a 10 hanky story. Dear Danielle, I loved the simple lessons they teach. They are such a great lose because they remind us everyday what true love is like: unconditional, loyal, compassionate, and limitless. I once read an article can you love me as much as my dog? I know they have taught me how to trust. I am sorry that your heart is broken over the lose of such a great friend. I know he is running around with your other dog waiting for you on the other side. Love and prayers to you and your husband! Your sharing that story with us (me) helped me know that even the “experts” suffer when losing loved ones, that what I learned from my first animal communication (and felt in my heart b4 I knew it could be real) – was/could be true: I felt that my Sasha was so far gone (she’d been fighting for quite a while) was part way gone – I was later told that she was actually mostly gone from her body – literally up in the corner of the ceiling staying w/me because I was so extremely upset; the doctor tried to tell me to wait in the hall but I demanded to be there. He outsmarted me by taking her to “prep” her and giving her the 1st shot – so what I had prepared for : 2 shots – didn’t happen. I was holding her and he gave her 1 shot – she was gone. I still feel cheated – but know that we’ll be alright. She (Sasha) said later that she stayed with me for the 15 minutes or so more that I held her, cried and sang her my songs that were for her (*you are my sunshine)– anyway – the OBE that she experienced and I sensed was real and now I have you to thank for concurring that possibility. I feel SO much empathy for/with you – my heart ached reading that account. I look forward to seeing you in Atlanta soon (I was so worried this was a cancellation for that) but feel so selfish now for even thinking that. I’m so sorry for your loss – and glad to know that your husband shares your intense love for your furbabies! 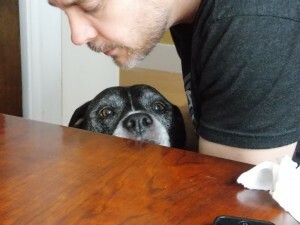 Mine does too – although he was gone for the year that I was losing Sasha (something he regrets as well). Thanks for sharing – brings us all so much closer and lets us know that our experiences are real – and are possible. Danielle, I am so extremely sorry to hear of your loss. Words can’t express my sadness for you. I just lost my baby this past Thursday, so I am feeling and understand your pain. I’m sure Keslo and my girls are all in a much peaceful place now. Keep your thoughts positive by knowing you gave him a great life and he loves you more then any person could. He will always be within your soul. He will always be within your heart. He will always be there when you need and want to talk with him. Thank you Lori – and sending much love and light to you as you go through your adjustment as well. I’m so glad Michelle – and I know Kelso is glad too! I know how you feel, but so pleased that you are someone who loves, and respects the life and pleasure this little guy has bought into your life. He’s still with you, and as you know, you will meet again. Kev. LOVE your comment. You brought a big smile to me! Thank you for being so generous in sharing your beautiful Kelso’s passing. What an absolutely gorgeous boy, he is. I am comforted by the fact that so many people in the world share my feelings and love for animals and I am grateful for the work you do. My cat of 13 years, Reiki, passed this year so even though I can’t say I know what you’re going through, I can say that I understand what a difficult time this will be for you and your family. Be gentle with yourself. Love to all of you. Thank you for sharing this most intimate experience. I know it was difficult and I grieve with you for the physical loss of your dear Kelso. Bless you for all you do. Dear Danielle, Thank you so much for sharing Kelso’s beautiful story. I was deeply touched, and, at the same time, it took me back to losing my Zoe. However, I was able to apply what I learned in your animal communication workshop, and Zoe was immediately there comforting me. I hope you felt the love and comfort I sent with her to you and your family. Thank you for all you do to bring light to this world. Much continued love will be sent to you. Thank you Sylvia – and LOL! My heart goes out to you and Kevin at this sad time. Kelso is still with you. His love and your work have enriched the lives of so many and help make this world a better, kinder place to live. It’s fitting that we send you love and healing energy in return. May God keep you all in His 100% white light of pure love and divine protection. Sending you and your family much love Danielle. Thank you for sharing and letting us know how Kelso chose to transition. Blessings, Pat. Thank you for sharing , what a beautiful, touching story. I’m so sorry for your loss. Danielle, Thank you for sharing this. “I know, based on the work that I do as an animal communicator and with soul contracts, that I should have myself completely together and be “just fine” with his passing, but we’re all struggling with this shift.” NO–you are a human being having human feelings about a member of your family transitioning. Yes I too know that our animals are eternal–and I stay in communication with them after they pass–but it still is a terrible feeling. My condolences to you and your family as you deal with this. And I am profoundly grateful for your story. It IS so easy to discount our intuition or think we’re projecting something. Thank you for sharing that no one is immune. I know what an effort it was to write all that for us, and I want to thank you for opening your heart to your extended soul family. As much as the story touched me, it was the pictures of Kelso that moved me to tears. What a face, his eyes, and expression. Clearly a wise old soul himself. No matter how much we know in our heads, it cannot prevent the overwhelming grief from being experienced. And that grief, the mixture of so many feelings, is how we honor the passing of a loved one from the physical world. Yes, there is still communication, but the 3D aspects are gone, and that is huge. I send much love to you and Kevin. My husband and I are both deeply grateful for this comment. It moved us both to tears. Yes, you can definitely see in the pictures WHO Kelso is. Thank you for writing. Thank you having the courage and love to share your story at this difficult time. It reminds us that we are all connected. Sending much love. No matter how intuitive, how experienced or how well we understand the truth of what’s happening, it’s NEVER easy to lose one of our beloved fur baby’s from the physical world. Knowing that Kelso will continue to guide you from the other side is not the same as having his cute self here to hold, play with and love. Please don’t feel that you should be “just fine” right now, you shouldn’t. You are dealing with a painful loss right now, even if that loss is only temporary. Go easy on yourself. Sending love and a hug, Dawn T.
So sorry for your loss, but being an AC, we do know the access is greater to Kelso in spirit. It does not however make the pain any less. I have a FB grief support page and I highly recommend your “Soul Contract ” book to all my clients/members. RIP Kelso, I see your old soul shining on your family from the other side. True – the pain isn’t easier, but falling back on what I know (and you know) certainly helps. Thank you for your kind words Susan! I’ve been through this all too many times and it’s never easy even as many times as I remind myself that THEY DO CHOOSE. I felt the sadness that you both have in your hearts as I read the account of your last moments with your dear friend Kelso. I am happy that you were with him as he crossed over. All the dogs in my life were owned by family members so I never had a chance as a Reiki master to help them crossover but I did always communicate with them my love for them when I felt it mattered most for both of us when I wasn’t sure I would see them again. I am sure Kelso will be guiding you both. I’m glad to read that Peggie. Kelso is STILL helping us all! Thank you so much for having the courage to share your experience. What a gift Kelso was and will continue to be to you and your whole family. And what a gift you all were and are to him. I’m sending you so much love during this difficult time. As you have taught me, Kelso will be back soon! Watch for signs! God he loved you, I’m crying thinking about how much love he had for you and your husband, that must have been so hard to let go, my prayers are with you and your family. God Bless your work and one of your master teachers Kelso. Fly high baby Kelso. I grieve for your loss, and I am in tears writing this. These fur baby teachers we have are such gifts. It is so wonderful when they come and so deeply painful when they leave. I have know doubt Kelso was loved deeply and joyfully. Thankyou so much for having the courage and compassion to tell your beautiful heartbreaking story. I lost my beautiful cat Bo and your story has helped me greatly and thankyou Kelso you amazing soul. Thank you for being so open and honest and human in writing this post. It really helps us to know that you too have the pain and human-ness! And how sweet of Kelso to wait for you. But you knew he would, didn’t you? By the way – you have an amazing man! What an astoundingly beautiful friend/teacher/soul he is. I couldn’t stop crying. He and Bella will be with you always. My thoughts and prayers are with you and your family. Thank you for sharing so deeply. Beautiful! I started crying…but it was cry of love. Thank you so much for sharing this story, as I write I am in tears since I had a similar experience in my life. Even we know it is time for them to go, it’s so difficult for us to let them go. I will have you and your husband in my prayers. Know that I feel your pain and I send you so much love to embrace you. Thanks God for our animals soulmates. Thank you for sharing this, Danielle. Love and blessings to you and your husband. I am so sorry for your loss of Kelso. My heart aches for you -losing two babies in such a short time. It reminded me of when I lost my dog and my mother and her dog within 10 months several many years ago. It was so difficult but I think each loss helped me grow- and I think her dog was waiting to go with my mom. Maybe Kelso wanted to go with Bella? Sending you wishes for peace and comfort and thank you for sharing your story. Your Facebook page came up as one u might like so I clicked and read all through your website. I’m very drawn to what you do because I believe I have similar gifts, though I have not developed them. My dog Myah, is my souls puppy and your work with animals fascinates me. My heart broke as I read your story, I pray for you, your family and your sweet Kelso. I hope to find myself in a financial position to purchase some sessions with you as I’d very much like to develop my gifts, especially to communicate with Myah. I’m so sorry to hear about your dear pet. Your story is very helpful and touching. I wish your Gods speed during this time. Please don’t forget when your ready to find another adorable pet. Your friend would like that I believe. Thanks for all you Do! I am so sorry about Kelso Danielle. I can feel his love and his weariness when I look at him and he is saying I will always be with you and I am as grateful for you as you are for me. All our animal children are such beautiful souls and so much wiser than we are. They teach us so much. One of our babies passed over by injection while in my lap and cuddling up to me. It would take way too long to explain all the lessons and all the love between the two of us during the 18 years we were fortunate enough to have together. I have seen “Smiley” several times since she crossed over and she is happy and vibrant and tells me how wonderful she feels. I presently have six other kitty children and I love every one of them dearly and we communicate constantly. Anyway I just wanted you to know that my thoughts and prayers are with you. Love to you and yours. I am so sorry for your loss Danielle. But it sounds like it really was your gain! What a wonderful special dog you had, and still get to see! I am writing now because my sweet Beagle Elvis had been sick for the past three weeks and he passed over today. He taught me about gentleness and kindness and to laugh more! I attended your June workshop at Omega and that really helped me with his death, which of course, is a new life. Thank you for all of your sharing about your dog. I sympathize with the loss of your Kelso, I just lost my sweet dog Murray and I am lost without him. I am hoping to feel him here again with me, we had different circumstances but I’m sure our losses are the same. Thank you for sharing. I was one of the “helpers” there with Kelso- I had stopped in to see Chris (the doctor)-she is a good friend of mine. They told me there was a dog out back that was not doing good-I asked if I could see him-if I could try to comfort him- they said yes- I laid on the ground with him, tears in my eyes and kept rubbing and petting his head–whispering to him it was going to be okay-that his “parents” would be here soon-to just hold on to say goodbye, He was a beautiful dog and I could tell he was loved greatly-I am so sorry for your family’s loss. I was so appreciative to read about your own responses to the situation because it helps understanding what is going on and that sometimes, despite the fact that we want to help, we are too close to the subject or maybe just not allowed to intuit what is happening. It helped allay some of the guilt I had been feeling over my Harley who passed two years ago. Thank you so much for all you (and Kelso) have done and keep on doing. I got your book as soon as it was on the market and have been reading (and rereading parts) and it has also given me great insight. Waiting, though, for your “doggie” version to come out. Thank you for sharing, I’m in tears, this story reminded me that we have all our life-companions in our hearts, we’re never alone. Thanks so much for sharing. My big boy, Moe, a black 90 lb lab crossed over on July 1st. I recognize his passing was beautiful and perfectly designed, but it still hurt like hell. I’m eager to read your blog about feeling Kelso present with you now. Thanks again! I was reading your story and how beautiful it is. I too lost three animals very close together, but I couldn’t bear to see them inject them and watch them go to sleep, which I truly regret after reading your story. My little Sara had to be put down because the large dog attacked her. But I was with her until they brought her in the back room and until they gave her back which was horrible she was 14yrs old. I hope she knew I couldn’t watch them do that to her. selfishly wanting her by my side. Taking care of Annie had been a large part of my life for sometime and when its all over, the void is so traumatic, even realizing it was the best decision to make. You have my deepest sympathy. I read your story about your sweet dog Kelso and I cried and shared your broken heart and tears. My family recently lost our big beautiful boy,Niles,who was an15 year old Siamese/tabby mix this past Friday,9/5/2014 at around 12:04 or 12:05pm. He was surrounded by love and gentleness to the very last moment. The pain of his loss made my heart break. I miss him so much. Our Vet gave us the gift of some of his fur,(from over his heart),paw prints,a nose print and a few of his whiskers. My son and I have made a framed memorial that we will soon add a picture. Thank you for being so open and brave sharing your own loss with all of us who have shared those same tears. OMG!! You are blessed to feel and see Kelso around you. I lost my beloved yorkie Pixie on Sept 10, 2014. I been asking her to come into my dreams so I can see her there since I don’t have the ablilty to communicate otherwise. I talk to her everyday letting her know how much I love and miss her. Just wanted you to know how grateful I am for what you do as a animal communicater. I stumbled upon your interrview on afterlifetv just as I was devestated after loosing my beloved dog, my best friend and soul mate, I think she was. She was onlly 7 1/2 year old, she never had any physical problems, always happy and strong. Now it´s been a month since she died, I had to let the vet put her to sleep, she was so sick, her kidneys didn´t work. And the vet could not tell me why….. Now I´m left with a lot of questions, could I have done anything, had I found out something was wrong before she actually was very sick……. etc. The summer here was so hot this year and she always loose a lot of weight as we used to swim together daily in the ocean. And I blamed it on the heath that she was a little bit slower this summer, now I know why…. I live in Denmark so to see you in person for a consultation is out of the question. What I wanted to ask you is: Can you get in contact with desiesed pets, and how is it possible to consult you – maybe over an e-amil? And how much will it cost. Hi Danielle, I happened to come across your post today and offer my heart and prayers to you, Kevin and Kelso. 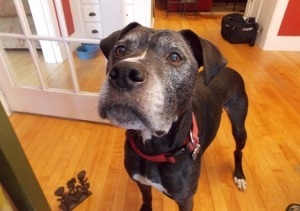 I was on your site because I had to say goodbye to my canine companion of 12 years, Taliesin, in late September. As I’m sure Kelso was to you, my dog was much more than that—co-adventurer, teacher of how strong love can really be, and simply an animal soulmate of the highest order. While I have faith he’s taken care of on the Other Side, I still grieve over the enormous hole his passing has left in my life. If it can be arranged sometime in 2015, I’d love to see if you can connect with him to help affirm that he’s doing ok in his new environment. I wish I could do the same for you and Kelso! Oh Danielle….I tend to put off reading emails and today I found this one. My heart hurts for you and your family. Last year at this time my Dyer Dog left to live with my husband who died in 2006. I miss her so very much as does Buddha. But Buddha is lucky because she sees both Ole and Dyer not to mention others that she doesn’t know and growls at to get out. But now our Taz cat is not well. She had one eye removed last May and now the other is not looking good. She is going in for a tooth removal on Tuesday and I hope this will help her over all health. But I am so nervous. I have had many animals in my life and loved and miss them all. But these guys were my family with my husband. Our children were of the furry type and 4 legs. Loosing them one by one is so very hard. They are the last of my life with Ole. Thank you for sharing the loss of your furbaby. I lost my 5 year old Mini on 5/8/15. I held her in my arms til she took her last breath. I have started following your postings since then and you have given me comfort and have helped eased my pain. I am keeping you and Kelso in my prayers. God bless you. Danielle, It has been 6 weeks since my 14 year old baby, Elvis passed. I always knew it would be hard, but it has been harder than I had feared. He was my best friend, my teacher, and my soul mate. God, how I loved that boy. My connection with him was very deep and constant. Unless sleeping, his eyes met mine no matter where we were and love connected us. It’s hard to lose that kind of deep contact. I will miss him intensely throughout the rest of this life. I can’t imagine another in his place. If I got another dog, I am afraid I might pass before my dog since I am 65 years old. I have a terrible fear of leaving a beloved behind and there being no one to continue to love and care for them. This fear is so strong that I suspect it may stem from a previous life experience. Elvis’ passing was similar to Kelso’s, and certainly the lessons learned are familiar to me. Thank you for sharing your experience. Dannielle, I am so sorry for the physical loss of Kelso, but so enjoyed reading your story. I wish I had more understanding of the spiritual world and could see energy, but I have a profound belief and am beginning to trust my intuition, thanks to a little dachshund named Barney. Barney was the puppy dog love of my life and passed on March 19, 2015, unexpectedly. He gifted us before he died with intuitively reaching out to us, (myself, husband and daughter) to spend extra time with him. Time is at a premium in our house as Barney shared his home with 4 other doxie brothers and a sister cat, (passed away 4 days after Barney). I normally do things absentmindedly, but am cognizant of taking the time several times in the week before he died to give him extra hugs, kisses and even tell him he was my favorite, even the last night of his life. I am thankful I remember doing this. Barney was happily running around our big yard, even into the neighbor’s yard with me yelling at him and him ignoring me that very afternoon. Normal behavior for a stubborn doxie~. We went up to bed around 11:30. I thought it strange that Barney was already in bed, looking at me as I brought the last pup up into the bedroom. He usually lagged behind and laid in the hall up against my daughter’s bedroom door until I made him come into the room. I sat on my computer for a while and almost as soon as I turned it off and laid down, I was aware of Barney getting up and going down the doggy steps. I thought he was going out of the room for a drink or whatever. Maybe 20 to 30 minutes later, I was awakened by 2 of my other dogs who were sitting up, hovering over me. I turned on the light, offered them a drink of water, which neither wanted, and noticed Barney on the floor which I thought was unusual, but he sometimes slept on the floor when his allergies bugged him. The next morning, he was still there, and of course, gone. I now know he was gone very shortly after I laid down. He waited till he thought I’d be down for the night so his death would not disturb anybody. It was quick and painless and I believe he knew this was coming for a while. I found out he had a tumor on his heart and this caused the heart to enlarge and thicken. I asked Barney why???? I got an impression from him that he did not want to suffer from the allergies anymore and he did not want to watch us suffer as we watched him suffer. He is a lot wiser than his humans. We miss him so very much. He was our son! Danielle.. so… yes I teared up while reading this story…. Some of your situation was similar to that of my Sweet Piper… (red blood count dropping, two seizures her last full day). It brought back visual memories of my last few days with her and her passing with me. (4am 7/4/15) At the time of my Piper’s passing, I was not aware of the many things I know now about animals in spirit and the afterlife. I was not aware animals choose how they want to pass and with who. I was completely calm during her transition. I sat with her for a good twenty minutes, holding her and talking with her… she made her content noise shortly before crossing and starred at me before taking her last breathe… I had to drive home alone two hours after her passing and honestly still have no idea how I made it home. I got in my car and was hysterical all the way home. I was completely distraught for months after her passing.. luckily I was not working… It took several weeks before I began to see signs of her.. and hear her… I started reading up on Animals in Spirit, the afterlife and soul contacts… and that is what lead me to you. Thank you so much for what you do… I miss Piper dearly – since her passing a whole new world has opened up for me… just wish I knew many of the things I know now while she was still alive. Thank you for sharing your story about Kelso, Danielle. It was sad but heartwarming. I had to help my sweet 16 year old cat Gracie cross over about 3 weeks ago. I held her in my arms. She was so very sick but went downhill quickly, with 24 hours and I knew it was time. My husband and I love animals and also helped our yellow lab cross over in Aug. 2013. He was also 16. I found comfort in your story, especially about Kelso visiting after he crossed over. Thank you. Your story helps all of us who have lost our beloved fur babies realize that they choose the outcome, and that helps us deal with any unresolved guilt and also gives us comfort. I couldn’t read this without wiping my eyes and nose. Now I know what I felt was right and made sense. Kelso IS a teacher. It’s in his energy. I didn’t know the animal choose the time, place and people ether. When I was reading this, I started to think about my experience. I know now that my cat Sunney choose me out from her love and stayed in her body as long as I’m ready. I took her outside in the yard, didn’t think that was the time. Think back now, she wanted to cross over but I was holding on to her. Then there was a jay bird out from nowhere, looking down on us from the fence. I looked at the jay and sensed that it telling me to let her go. As soon as I let her go, my sunney was gone. You think you know the unconditional love of animal, but every time things like this happening I’m blown away and the lesson that they teach us are so deep, it’s changes the perspective of life. Thanks for sharing your personal story. I really appreciated it. I know your precious Kelso passed in 2014 but I just read this for the first time and it touched me so much. What a beautiful pup,I realize he had aged but he was beautiful to me.thank you for sharing this,it was special.